A donation to the Ponder Education Foundation is an investment in our schools and community. The Ponder Education Foundation accepts donations from individuals, corporations and other foundations to fund its programs. Contributions may be given for a specific program or to the endowment fund and may be given in honor or memory of someone. The endowment ensures the perpetuity of the Foundation and provides a secure source of funds to supplement and enhance PISD's programs for students. 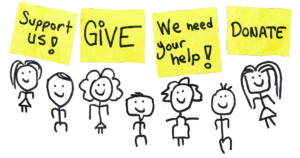 Whether giving a monetary gift or if you are interested in donating your time, the Foundation encourages all those interested in working with the Foundation to contact them.